This week turned out to be pretty good, once I submitted my final project for summer semester and could relax a bit. Since I will have more free time for a couple of months, I am looking forward to taking better care of myself. When I get busy, I tend to stop doing the little things that keep me emotionally and physically feeling healthy. It is time for me to get back to the basics. As I sat at my desk at work earlier in the week, feeling overwhelmed by my increasing workload, I decided to take a one minute break to write down some simple intentions for the day. My day went well. I was more focused, productive, and relaxed. There were many times when I felt an overwhelming urge to get online or to reach for a snack when I was feeling stressed, but paying attention to my emotions and sitting with them for a minute helped curb those impulses. In fact, it went so well, I decided to keep my intention list on my desk all week and practice each day. I noticed by the end of the week I was feeling more like myself again, and I was pleasantly surprised that I had enough energy to tackle some of the things I had been procrastinating doing. I try not to make too many rules for myself, as this practice can sometimes feed my perfectionism and cause more stress. I didn’t follow my intentions perfectly, but just becoming more aware of my thoughts and actions led to a noticeable boost in my mood. I included the photo of my walk in Coronado as a reminder to find beauty in my life. Even when I can’t make it to the beach or a beautiful spot, a simple song or photo can lift my spirits. When I was in 7th grade, I remember hearing the song, The Tears of a Clown, by Smokey Robinson, and thinking wow, that sounds familiar. Over all of the years of dealing with my mom’s erratic behaviors caused by her mental illness, I became quite proficient at hiding my sadness by being the jovial, adaptable girl next door type. I internalized all of the chaos around me by focusing on trying to make sure my outward appearance did not betray my deepest emotions. This led to my battle with an eating disorder and a great deal of anxiety that spanned my teen years through my mid-20’s. My recovery process was not easy because I had to reach out to others and be willing to recognize and accept those parts of myself that did not live up the image I was trying to achieve. 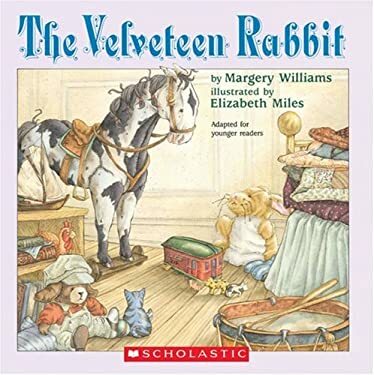 Like the story of the Velveteen Rabbit, I have learned to become “real”, and though it isn’t always easy, ultimately it is a much more rewarding way to live my life. The big day that I have been simultaneously looking forward to and dreading has come to pass. My daughter moved out this weekend, ending her 2-1/2 year journey since her return home from college. During our time together we have been the accidental witnesses to each others’ attempts to reshape our separate lives. Both of us have been in the process of starting over. 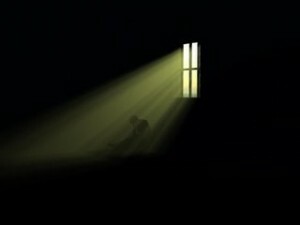 My gradual recovery from a painful divorce and her gradual recovery from the eating disorder and depression that so severely disrupted her final years of college have consumed us during the past two years. Although extremely difficult at times, I may have finally reached the point of succumbing to the true meaning of letting go. As I put the pieces of my own life back together, I have learned the importance of caring for oneself in order to be of use to others. In the course of mending my own life, I have more easily begun to back off from trying to manage hers. The more I indulge in it, the more I feel that the answer to my problems is a change in others and society, not in myself. Thus, I become a hopeless case. All people are always changing.If I try to judge them I do so only on what I think I know of them, failing to realize that there is much I do not know. I will give others credit for attempts at progress and for having had many victories which are unknown to me. I am grateful that my daughter came home to help my father during the months he was being treated for lymphoma. It was a blessing for all of us. During this time I have had the security of seeing her in passing each day while creating more distance as I navigate through my own life as an independent woman. I have been learning to let go and observe as she achieves the goals she sets forth. Despite her ups and downs, I have watched her build and maintain relationships, grow and learn in a nurturing work environment, finish her final classes, and ultimately land a wonderful opportunity to launch her dream job as a college coach. Because of her life experiences she has and will continue to provide support to the kids she coaches who are experiencing anxiety and depression. As the time approached for my daughter to finally leave the nest, the push and pull between us was palpable. I have heard it said that one may actually create conflict with a loved one prior to parting in order to make the good-bye easier. In this case this tension between us made it easier to step back and allow her to do things her way. It was hard to watch what I classified as disorganization as she approached moving day. It wasn’t easy but I finally realized that I needed to back out and let her dad help her with the move rather than hovering over her in my usual fashion. It felt good to finally be able to tell her I would help at her request but would otherwise back off. I can’t tell you how difficult it was for me to watch her pull out of the driveway with no arrangements for a permanent place to stay on the other end. It was a monumental step and a humbling experience for me to stay behind, allowing her father to be her primary source of support. I hadn’t heard from my daughter for two days, and it came as a complete surprise when she called yesterday to tell me she had found a house and had already starting moving her things in. What a great lesson for me. Things happen even when I am not in control of them! I am amazed at the sense of relief I am now experiencing, knowing that I can provide her unconditional love without trying to micromanage her life. I am finally able to see that she has coping skills, tools, and many sources of support outside of me. More importantly, I am finally able to see that our lives are fluid and ever-changing. The key to emotional resilience is knowing that each moment is an opportunity to start anew, and our emotions and intellect are never in a permanent state of being, as this article about success from News.mic illustrates.